Barbara has had over 30 years in the real estate industry both as a salesperson and principal. She is truly a local having been born in Nambour, educated in Nambour and has lived on the same rural property in Rosemount for her entire life. There would be few, if any, that would know the area and the people as well as Barbara. 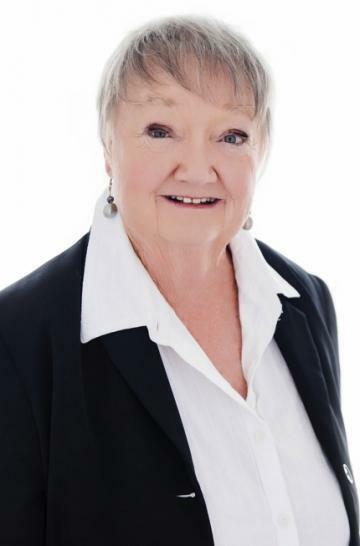 Barbara has always had a passion for real estate and now has a large client base – sometimes selling to the whole family, parents, children and grandchildren, multiple times over multiple decades. One of her greatest pleasures is to see young people start off with their first home and then go onto bigger and better properties. She always strives to achieve the best result for both her sellers and buyers. Rural properties are certainly Barbara’s favourite and she has been involved in many rural subdivisions as well as selling some of the larger acreages in the area. Barbara did spend 4 years in retirement and spent most of that time living aboard their boat and cruising the coast waters but she missed “land” and real estate so much that she is very much enjoying being back doing what she loves. Barbara is an endearing local that no doubt has dealt with someone you know over her 30+ years in real estate. This local knowledge and unquestionable reputation is invaluable to all her clients and really leaves no other choice when it comes to selecting your local rural specialist. Level land with creek frontage. This property has been growing ginger, strawberries and raspberries for the last 25 years. The property has been owned by the same family since 1890. 26.64ha with 860 m of river frontage. There is even an old stone boat ramp. There is power to this block. Great views over river to Mt Coolum to the north, Mt Ninderry to the west and south to Buderim. 15.78ha (39 acres) An older style 3 bedroom home with expansive river views. This property has its own Jetty so if you are keen on water sports or fishing it would be just the right spot for you. There is a large dam on the property as well as a good size shed. The land is fully fenced and is ideal to run cattle or horses. This 55 acre block offers a host of opportunities. Approx 7 acres would be great for growing produce. Northerly aspect with just a gentle slope. Excellent soil. The balance is suitable for graxing, turf farm or a place for your family to have their horses or trail bikes.